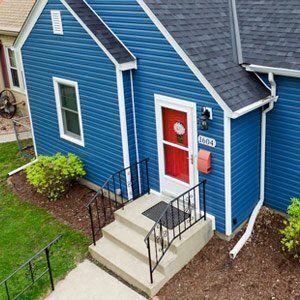 Do you live in St Louis Park? Are you on the lookout for the best roofing contractor St Louis Park MN has to offer? If so, Snapconstruction is the company you have been looking for. Before we dive into why Snapconstruction will provide you with the service of the best roofing contractor St Louis Park has available, it is vital for you to understand the importance of investing in your roof. As you are aware, St Louis Park is home to some harsh weather conditions. While the temperature drops dramatically in January, the scorching heat of July is somewhat unbearable. Although you may have gotten used to such a climate, unfortunately, your roof has not. The roof tends to get damaged when exposed to such harsh weather conditions, even if the rise and falls in the actual temperature are not drastic. This is because every time the temperature of the city changes, your roof either contracts or expands, leading to damage over time. Now, while such damages may not be visible to the naked eye, rest assured that they are being inflicted on your roof and it is naturally getting weaker by the day. Therefore, to ensure that the smoldering heat or teeth-chattering cold stays out of your home, you need to invest in professional roof maintenance and speak to areliable roofing contractor St Louis Park MN. Snapconstruction provides you with a hub of highly trained and certified roofing contractors who are guaranteed to provide you with real value-added services. The company invests in making sure that its staff are always up to the task, ensuring that your roof gets the professional treatment that it deserves. The company also offers you over three excellent roofing choices, each of which has a different cost. These options allow you to choose a roof based on your budgetary limitations and the style of your house. The roofing options include asphalt shingle, cedar shake, and metal roofs. 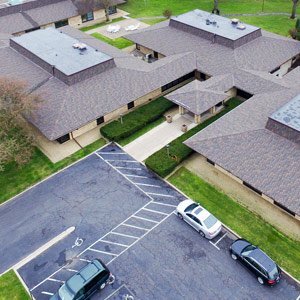 One thing all of these roofing packages have in common is the durability of the material used as well as the great style each of the roofing types succeeds in offering. While asphalt shingle is the cheapest of the options, it also the least durable of the three. In contrast to this option, metal roofs come in at a little higher but are bound to stick with you and your house for many more years to come. Overall, Snapconstruction Roofing is a highly cost-effective choice. This is further enhanced by the lifetime warranty on all of its services. If you decide to get an asphalt shingle roof fromSnapconstruction Roofing, you can feel rest assured that it will be a onetime investment. All in all, whether you decide to pick Snapconstruction or another company, make sure that you invest in a professional roofing contractor St Louis Park MN has. Your roof is your protector; treat it like one. Invest in roof repair and maintenance, and keep yourself and your family safe from all that is out there. Be wise. Be safe. Get more info on Why Professional Roofing Contractors Cost Less in the Long Run.